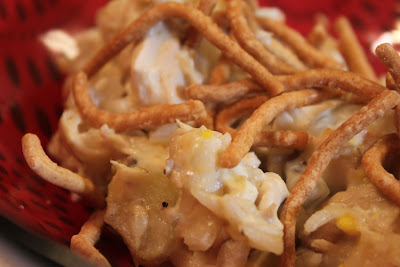 A Well-Seasoned Life: Gooseberry Patch Review & Giveaway: "Mom's Very Best Recipes"
Gooseberry Patch Review & Giveaway: "Mom's Very Best Recipes"
My mom's very best recipe is her potato salad, tangy with mustard, sprinkled with paprika, and at its best when the potatoes are still warm. Everybody loves it! My kids would say my best recipe is seasoned noodles - vermicelli seasoned with olive oil and garlic salt. Fancy...I know! But, they've been eating it since birth and the dish means home to them. 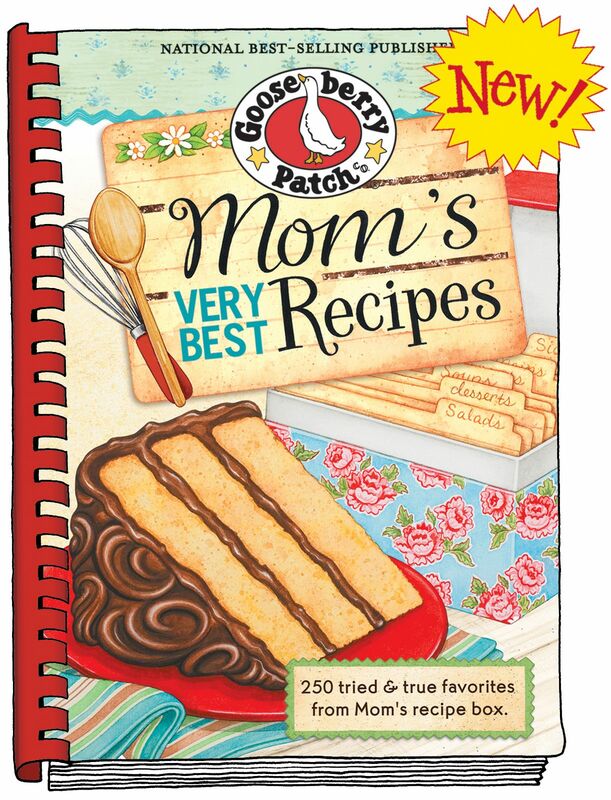 Gooseberry Patch has captured that sense of home with their newest cookbook, Mom's Very Best Recipes. The cookbook is filled with delicious-sounding recipes from breakfast with Butter Rum Muffins to desserts such as Scrumptious Strawberry Torte. I found myself attracted to the recipes that were new and different from anything that I had seen before yet had familiar ingredients: Pepperoni Egg Rolls, Flavor Craver Shrimp Dip, Mediterrean Couscous Salad, Scalloped Cabbage, and Yummy Pork Ribs. Let's take a look at what Mom's Very Best Recipes has to offer. ﻿I am so fortunate to have been asked to review Gooseberry Patch's Mom's Very Best Recipes and I want to share my good fortune with you. Gooseberry Patch has sent me an extra copy to give away to my readers. If you would like to ﻿enter to win a free copy of the cookbook, you may enter by simply choosing to follow my blog through Google Friend Connect and by commenting on this post to let me know you're interested in the cookbook. If you are already a follower, just leave a comment here letting me know you're interested in the contest. Click here to see all Gooseberry Patch recipes featured on A Well-Seasoned Life. I am a follower and very interested in your contest! You don't have to enter me in your contest. I have two recipes in that cookbook..Herbed Corn and Italian Rolls for the bread machine. Both are delicious...try them if you get a chance! Hi Tina- Guess I need to pay more attention to who submitted the recipes. There are two corn recipes on one page and they both look delicious! I definitely want to try your corn dish - I need to buy some dill weed AND... corn - that seems to be the important ingredient! Do count me in. I've been a follower for a time now and have recently made your icecream bread. I linked back to you and in response, Rosemary also made your bread. Keep up the great work, I love to keep coming back. LUV'N YOU AND GOOSEBERRY PATCH!!! Thanks NRN - so sweet! I have been following you for a while now and would love a new cookbook...I adore Gooseberry Patch cookbooks! As a Canadian I do not get to buy these cookbooks unless I stumble across them but I love these cookbooks and would absolutely be tickled pink to win one. Keep up the great work on a great series. I just became a follower and would love to win the cookbook, I love gooseberry patch! I am a follower through google friends! Please enter me to win this wonderful Gooseberry Patch book!! I just love Gooseberry Patch and would love to add this one to my collection!! I love to cook and would love to own one!!!! I am a follower!!!! Woohoo!!!! I would really love towin the gooseberry patch cookbook!!!! All of their recipes are wonderful!!!! I am follower & I am interested in winning this cookbook!! I am a follower and VERY interested. I love GBP. 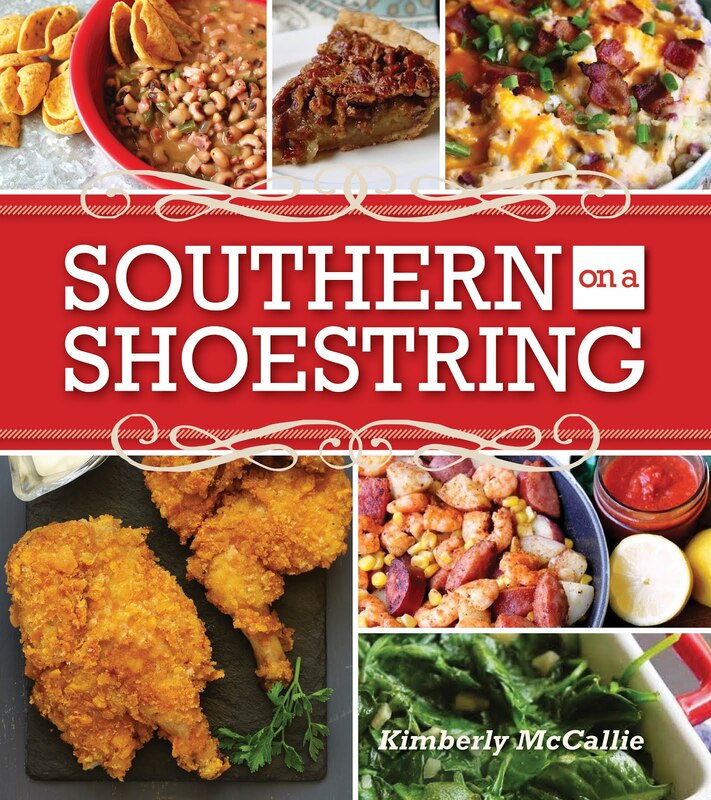 I'm follower and would love to be entered to win this cookbook. I'm a follower... I love Gooseberry Patch and would love to have this cookbook in my collection. I am a follower and would love to win. I'm a new follower and so happy to be here. Love that Gooseberry Patch. Thank you for sharing. This cookbook sounds fabulous! I've been a follower for awhile now, and would love to win it! Thanks for a great contest. although I have followed Gooseberry Patch through email and FB I am most happy to have been able to visit your site. I was looking for a chicken recipe and there it was- Alabama Chicken Casserole! You have saved me! I would love to be one to receive the Mom's Very Best Recipes! i love, love, love gooseberry patch, and would really love to win this cook book. 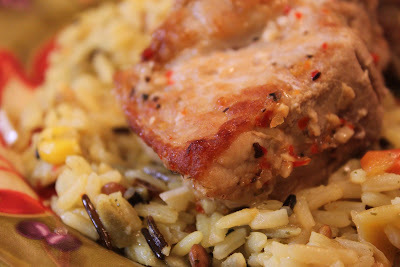 the recipes you blogged about look really good.can't wait to try them. I'm following you and would like to be in your contest. Gooseberry Patch cookbooks are fantastic! Count me in! I would love for a chance to win this Gooseberry Cookbook! I love your books! Please enter me in your contest. I look forward to trying the recipes. I am a follower (as of today :)) and would love to win! gfc follower giveawayinfo, this looks like a great cookbook I would love to have in my collection. Hi! I'm a new follower! I was sent here by a friend who recommended one of your recipes.....cherry pork loin! I LOVE Gooseberry Patch cookbooks so this would be a fantastic addition to my collection! I look forward to all of the fun recipes I will find on your blog! I'm a new follower book looks great. Love your cookbooks! Please count me in! Love your blog! Count me in, please! I would like to win this cookbook, too! I love to cook and create new dishes for my family. Thanks for making this cookbook available. Please enter me in the contest for drawing of this book. I would love to win this. I'm going to cook the Alabama Chicken Casserole today. Thank you for posting. LOVE LOVE LOVE Gooseberry Patch cookbooks! Can't wait to add to my collection! Please include me in the contest! My budget always says I can't afford a new cookbook, so would love to win this one..Always looking for something new for home and church events.. So glad to have discovered your blog...and I sure would LOVE to win a Gooseberry Patch cookbook! Always interested in new cookbooks. I have been banned from buying new ones but I'm sure he wouldn't mind if I won one! lol Thanks for the chance! Great cookbooks.... Love Gooseberry Patch! Love Gooseberry Patch cookbooks. So many times I buy cookbooks and only use very few of the recipes--not the case with Gooseberry Patch cookbooks. Love all the recipes. Hope I win!!! I think I love this Cookbook & I know I love GooseBerry Patch!! Would be an honor to win this CookBook. Just discovered your blog and like what I see! Please put my name in the pot for a Patch cookbook! I would love this Gooseberry Patch Cookbook!! I can just imagine how yummy each recipe would be!! Please enter me in the drawing. I love Gooseberry Patch and would love to add this book to my collectin. Please enter me in your contest. Would love to win your book. You have some great recipes. I have a few of GB Patch cookbooks, and love all the recipes in them. They are simple, homestyle cooking, comfort foods, and would love to be entered in your drawing. Please enter me in the drawing for the cookbook. Please enter me in the drawing. I love Gooseberry Patch! I would love this cookbook! I so enjoy recipes that are tried and true. Love GP and love the blog. Thanks for having such a great giveaway! Hi, I would lovvvveee to have this cookbook! I follow you on GFC...would love this cookbook...I lost my mom 20 years ago, but oh my, could she ever cook!! Found you by accident this morning and will now be a follower! Looking forward to trying your recipes... please enter me in your contest. Thanks!! I collect your cookbooks. I give them as gifts. They are the "go to" when you need a like mama makes recipe! Would love to have the new ones. New follower and I love Gooseberry Patch cookbooks! I have recently become a follower of your cookbooks. I own 3 at this time and the best is the slow cooking of 5 ingredients or less. I love slow cooking and this has great recipes and a lot of items that someone would have in their kitchen on hand. I would love to be the winner of one of your new cookbooks. I spoke very highly of your books to friends and family members and have sold 3 addl slow cooking cook books for you already. Keep the books coming. I love cookbooks, but Gooseberry Patch is a favorite of mine. The recipes are easy and in my opinion when using a recipe out of one of these books one can't go wrong. Love it! I'm a new follower and love your blog. I've been collecting Gooseberry Patch cookbooks for some time and would love to have a new one. Good luck to everyone! 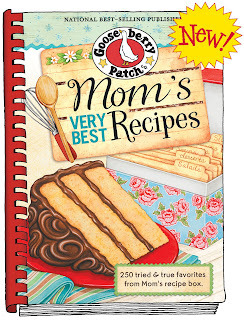 I love Gooseberry Patch and would be thrilled to win a copy of "Mom's Very Best Recipes." I am a new follower, hope I got it right this time! I would love to win a copy of this cookbook, I am unemployed and unable to buy one for myself right now. Thank you for this opportunity! Sure would love to have this cookbook...I love all of them. Gooseberry Patch cookbooks are the best! 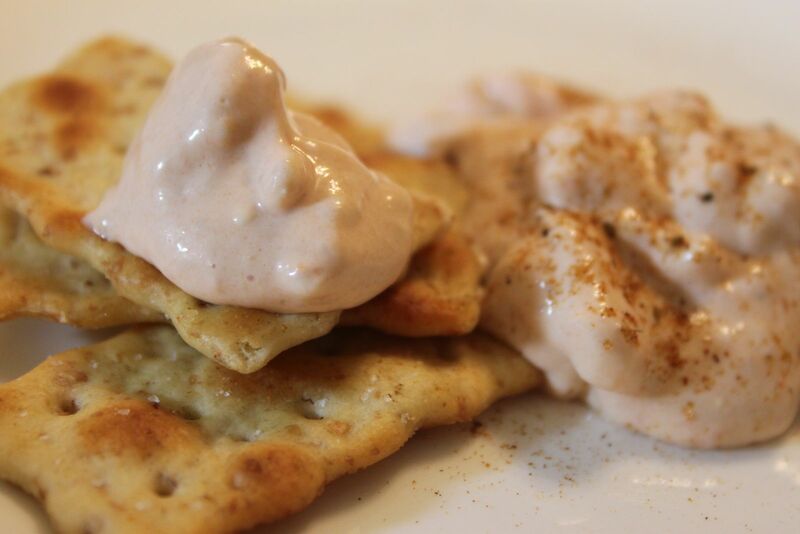 Love recipes that are tried and true and delicious! Love the Gooseberry Patch cook books. I sit down once a week and go thru my cookbooks and decide what to fix the next week. Love all the quotes and helpful hints! Love all your cookbooks I have bought! I love gooseberry cookbooks, thanks for the chance to win one! I hope I'm not too late. I don't know how I missed this one. Thanks for a chance to win! Gotta love Gooseberry Patch! I love learning to cook! And my fiance does too, lol at least he loves that I am learning. I cant wait to get married, and continue to surprise him with my progress! Thanks for sharing the link! God Bless! Would love to win this new book! Can't wait to see the new recipes. Would love to win one of these great cookbooks. I have many Gooseberry cookbooks and would love another one!